Invisalign is the invisible way to straighten your teeth without braces. To discuss clear braces in the Chicago area, please feel free to contact us to schedule an appointment. The aligners are made through a combination of doctor expertise and 3-D computer imaging technology. You’ll visit your doctor about once every 6 weeks to ensure that your treatment is progressing as planned. Typical treatments usually require 5-18 sets of aligners, spanning 3-9 months (depending on complexity of movement needed). 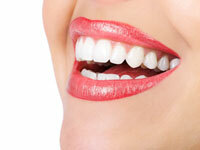 Straighten Your Teeth and Restore Your Smile Today! To schedule your Invisalign consultation with one of our friendly and experienced dentists, please call Chicago Office Phone Number 312-938-3999 at our Chicago Office or Skokie Office Phone Number 847-676-1432 at our Skokie Office today with questions or to make an appointment.